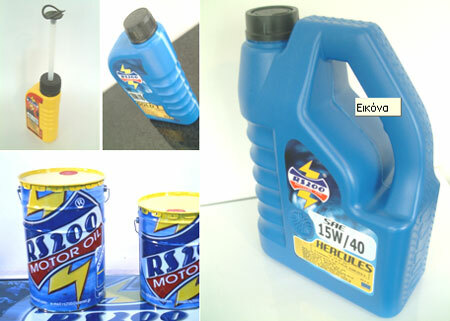 suitable for the latest generation Euro IV & V engines of passenger cars using gasoline & diesel fuels. 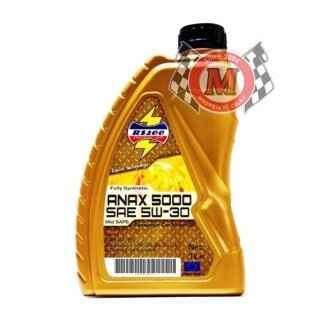 Designed for engines equipped with special catalysts, which requires only reduced SAPS oils. 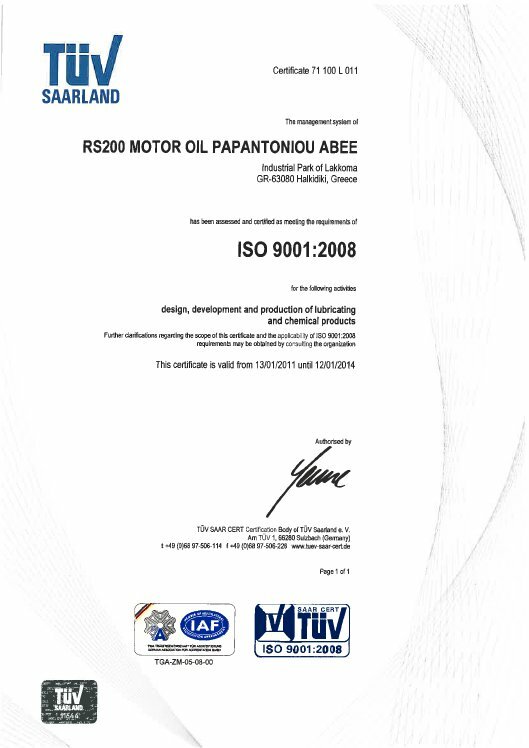 RS200 motor oil operates according the quality system of ISO 9001 TUV CERT για Design, Development και Production of lubricants and automotive chemicals. 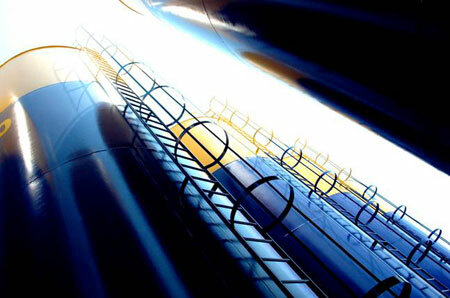 Each raw material before the unloading is analyzed and confirmed for being stored in appropriate tanks. Also all of our products before being enbottled are analyzed in our private laboratory from certified lab machineries and are approved for overcovering the international specifications that their label declares. Our production procedure implies a commitment of compliance according the European guidelines of EELQMS and also we are enlisted in ΑΤΙΕL. All of our products overcovers the top tier international lubricants specifications according to ACEA, API and ΟΕΜ, in addition we also have direct approvals from Mercedes Benz, Volvo, ZF etc. 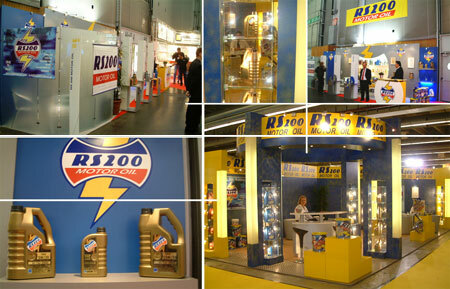 RS200 motor oil is a modern lubricant & automotive chemical European Industry, located in South of Europe (Thessaloniki—Hellas) and established in 1980. 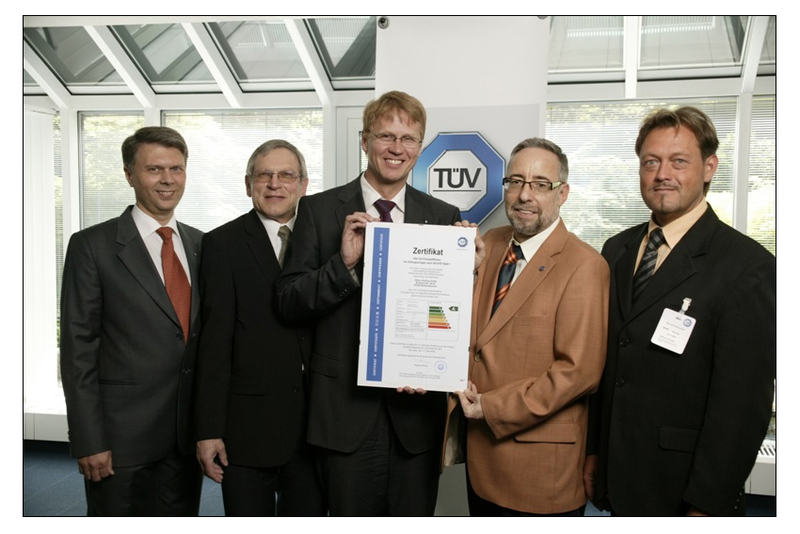 RS200 motor oil is certified with TUV Cert ISO 9001 for Design, Development & Production of high quality lubricants and automotive chemicals. Also we are enlisted to ATIEL for lubricant production conformance and our products override the highest international specifications. Our blending plant is based in the Industrial Park of Lakkoma in Halkidiki (35km from Thessaloniki port) where located only factories functioning accordingly to conditions friendly to the environment. 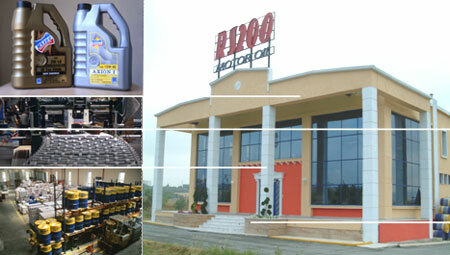 In our factory we can produce 3.000 bottles of 1L in one (1) Hour. And also we produce from 250ml bottles until 1000Lt IBCs. We have our private tank farm for our first base stocks. Our production line is fully electronically controlled. All of our packing are designed and produced only for our company and the molds from the plastic bottles are our own private property. We develop continuously our products due to the most recent specifications and international norms. Our harness cooperation with the three (3) biggest additive producers (Infineum-Lubrizol-Afton) does provide us the ability to be informed with the latest developments at the lubricant field. Exports in more than thirty five (35) countries in four (4) continents all over the world. 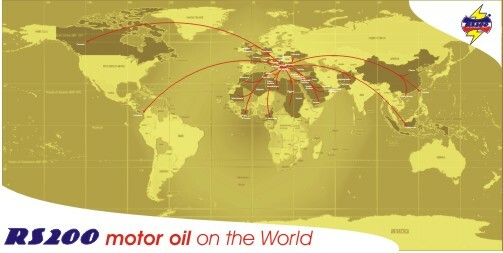 That shows the fast growing world market share of RS200 motor oil. Hellas (Greece) is located in a very strategic geographical thesis in the middle of three (3) continents Europe, Africa & Asia. Greece has access to all shipping lines with economic freight costs for any destination. By this way our basic industrial plant does provides our high quality and guarantied products all over the world. All of our first materials before being receipt and all of our produced lubricants & chemicals before packaging are analyzed in our chemical laboratory. 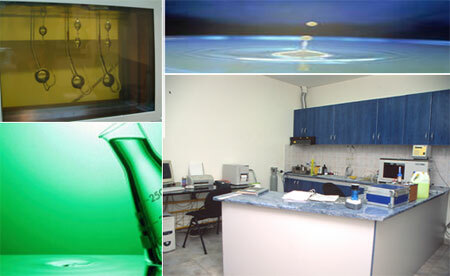 Our private chemical laboratory is equipped with all the necessary chemical equipments for our products analysis. Also we keep samples from all of our produced lubricants for two (2) years. We can provide the advantage to our industrial or marine customers to analyze their used lubricants and inform them about the lubricant life. Continuously participation in the largest and most famous International Exhibitions at the automotive parts field. From 1990 till now we participate in the No.1 exhibition at the automobile parts (Automechanika Frankfurt). Beside this exhibition we participate at other large exhibitions like Equip Auto in Paris (from 2001 till now), Motorshow in Bologna, Automechanika St’ Petersburg etc. Our company’s policy is to supply only high quality products to achieve fully consumer’s satisfaction as our best advertise for our products. 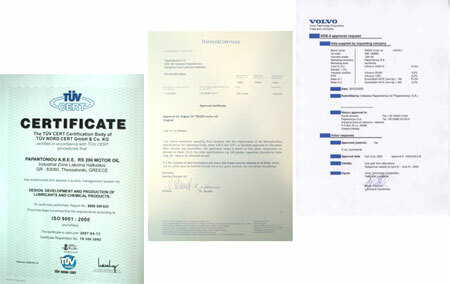 Our certified with ISO 9001 products and also approved from the biggest automobile constructors such as Daimler Chrysler, Volvo, Man etc. It is important to emphasize that we do not use at all any type of recycled materials or low quality raw materials and this for to assure our high quality. 이것저것 고민하다가 추천해주신 오일교체를 해보았는데요..
많이 개선되지 않을까 의견 드립니다. 킥스파오1 0W30만 쓰다가 친구가 그 가격이면 수입산이랑 차이 얼마 안난다고 해서 알아보고 이 제품으로 구매했습니다. 쉘이랑 고민을 많이 했는데 그래도 좋은게 좋은거라고 조금이라도 기유가 좋은게 좋지않을까 하는 생각에 질러봤습니다. 일단 소음은 확실히 킥스에 비해 줄어듭니다. 그리고 부드러운느낌도 훨 낫네요. 대신 rpm오르는속도는 약간 느린듯한데 (동일 rpm에서 힘이덜나온다는말이아니라 ) 아무래도 점도차이가 있다보니 그런듯 합니다. 이상한점은 킥스가 0W인데도 그것보다 아침 냉간시동시에 좀 더 빠르게 안정화된다는 건데요. 이런점에서 유럽이 참 오일은 잘 만든다는 생각이 드네요. 1월초에 RS200 오일을 아방동에서 알게되어 제 차 아방이에 넣어봤어요. 엔진소리가 달라젔어요. 새 차인데도 엔진 소음이 있었거든요. 칼칼칼.. 약간 이런소리?? 지금은 부드럽게 치고 나가는 힘이 정말 좋아요.